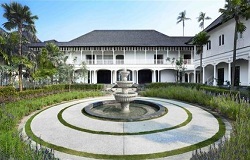 Singapore, 7 October 2014 - PREMIER HOTELS OF ASIA, a leading international Hotel Sales and Marketing Representation company has been appointed the Global Sales & Marketing Partner for The Sanchaya, a luxurious new beachfront estate, idyllically located on one of the region's most spectacular beaches in the Indonesian island of Bintan, a 45 minute ferry ride away from Singapore. 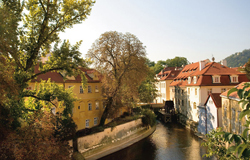 Hong Kong, 18 September 2014 - To celebrate the upcoming festive season, Mandarin Oriental, Prague is delighted to introduce two new holiday getaway offers; Winter Escapes and New Year's Eve in Prague. Hong Kong, 18 September 2014 - The award-winning Mandarin Oriental, Boston and Chef Daniel Boulud are delighted to announce the opening of Bar Boulud, Boston. The French-inspired bistro and wine bar is Chef Boulud's first restaurant in Boston, and second partnership with Mandarin Oriental Hotel Group. 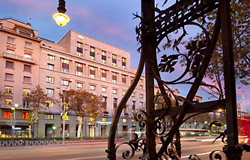 Hong Kong, 15 September 2014 - Mandarin Oriental, Barcelona, is delighted to offer a new Opera Package for the season 2014-2015 which includes luxurious accommodation at one of the hotel's exclusive new suites.